Who offers the most hydraulic power? Rarely does your machine perform one function at a time. For example, when you dig into a pile, you’re usually pushing, lifting and tilting all at the same time. 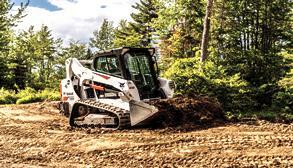 This means your loader’s hydraulic system must be directed to multiple components. 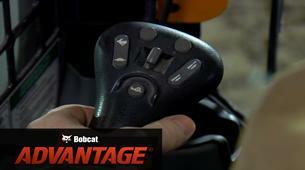 It’s the reason Bobcat® loaders intelligently deliver the right amount of power to each component. That directly translates to more power and balanced performance. However, not every manufacturer designs machines the same way. 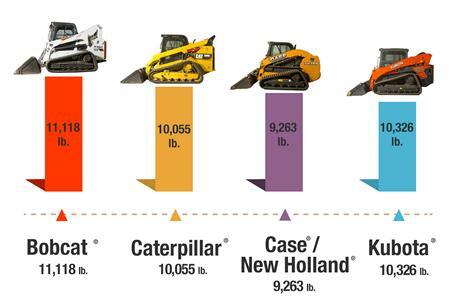 Kubota®, Caterpillar®, Case® and New Holland® may perform one function well, but when it comes to components working together, they struggle. Watch the test to see for yourself. 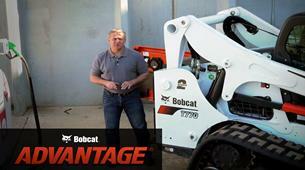 Hydraulic power needs to remain consistent, especially when demand changes as a loader performs different functions. Balancing this power throughout the machine contributes to more power and consistent performance. 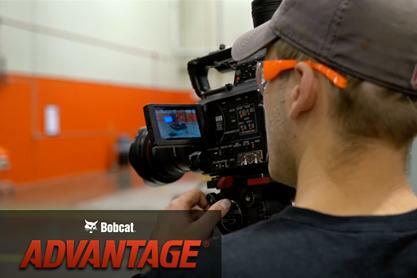 Everyone knows that taking on tough jobs requires equipment that consistently delivers power throughout multiple demands. 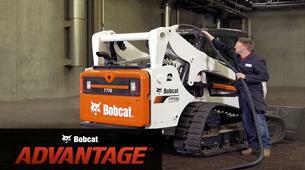 Agile equipment streamlines your operation and improves your productivity. 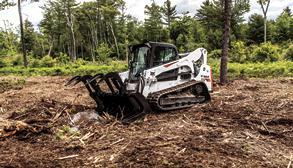 Which brand of compact track loader delivers the hydraulic performance to match your project’s demand? We put each machine to the test to find out. See the results. For an accurate force measurement, we tested each loader using a calibrated load cell and the same bucket. In the test, the same operator pushed the loader toward the load cell while engaging the lift and tilt functions. The load cell measured the amount of total force, and our engineer captured the results for the final calculation. 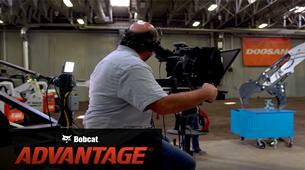 After putting Bobcat, Kubota, Caterpillar Case and New Holland loaders to the test, we discovered that the Bobcat loader delivers up to 17 percent more power than other brands while pushing, lifting and tilting. For you, that means you’ll have the force to power each component of your loader. When you’re shopping for a new machine, it’s easy to compare specs. After all, that’s the best way to compare machines, right? Not quite. With specs, you’re only getting part of the story. They don’t measure real performance on your jobsite and that’s what matters most. It’s the reason we put top brands through the paces with fair, accurate, and repeatable tests. Watch to see how we developed the tests. How Often Do You Stop Work to Refuel? 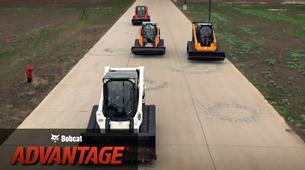 Which Loader Leaves the Rest in the Dust? 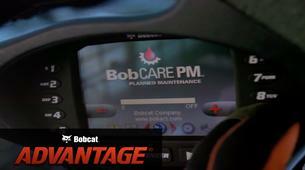 How Smart Is Your Loader's Instrumentation? 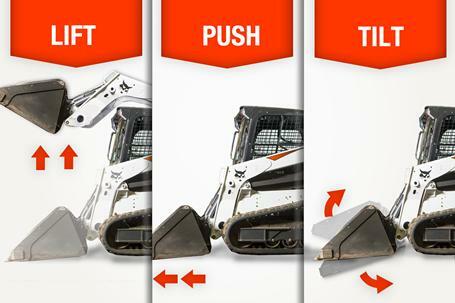 How Fast Can Your Loader Work? 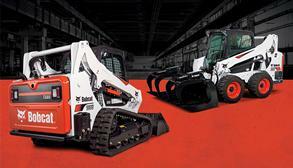 Which Loader Stays Clean and Cool? 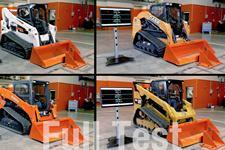 Which Loader Is The Easiest To Control? 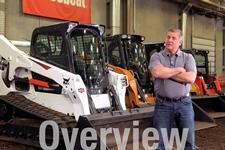 Find out what exclusive features make up the industry’s largest lineup of compact track loaders. 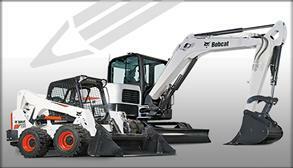 Choose a Bobcat model, select your options and attachments, and get a price quote from your local dealer. 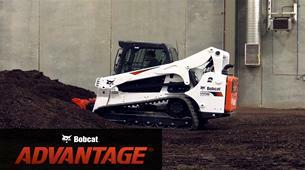 Find all the information you need about Bobcat compact track loaders before making a purchase decision. 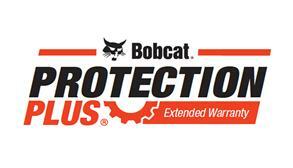 With a Protection Plus® extended warranty, you’ll have the peace of mind to work without worry. Build your business with no upfront costs, lower monthly payments, and flexible contract terms. 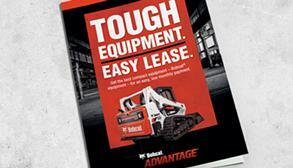 Learn about the easiest way to acquire the best-performing compact equipment in the world.